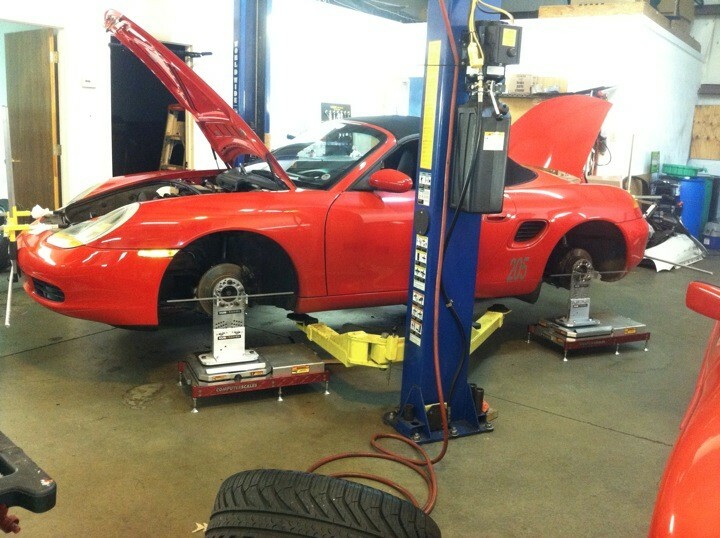 We specialize in Porsche repair and service. LMN Motorsports was established as a Porsche repair shop in 2006 and we pride ourselves on the quality of our work and experience we have to offer all of our customers. All major repairs and scheduled maintenance, including all engine and transmission repairs and all Porsche electrical diagnoses and repairs, with PST-2 and Autologic Porsche diagnostic systems for all Porsche cars. Offering pre-purchase inspections, full suspension and performance upgrades including track setups and corner balancing. Tech inspections for all DE and club events. 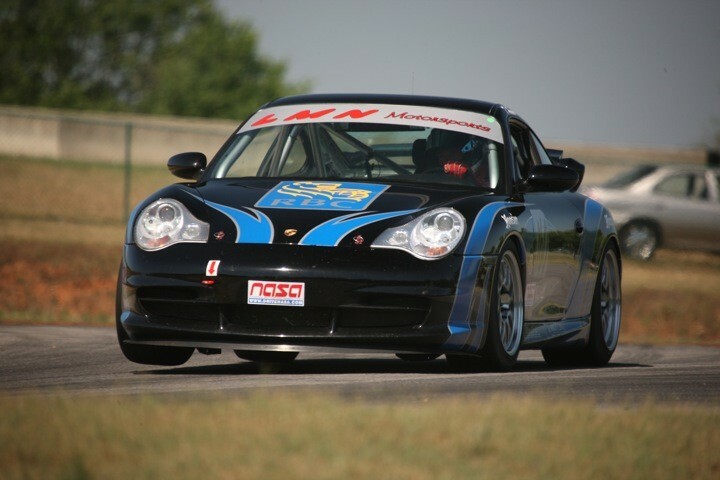 We offer track support and pro driver coaching from Grand am and ALMS drivers. We offer full wheel free hub stands set ups and alignments that are second to none. Feel free to call us for more information. Porsche trained technician with 42 years of Porsche experience. Crew Chief for Rolex/Grand-am race teams. Porsche and Audi master technician since 1985 with factory training through 2013. We have taken our Cayenne turbo-s, 911 C4, and now our son's Audi A3 to Lutzo and his team at LMN Motorsports for the past 5 years. We have never been disappointed. Diagnostics are superb using only the latest equipment available. We on convinced LMN is saving us thousands of dollars every year by fixing only what is necessary. LMN's suppliers and subcontractors are top rate as well and have proven to have been selected to ensure they exceed our expectations every time when a portion of the need is outside of LMN's specialties. Our family highly recommends LMN for anything your P-car may need! Maintenance, repairs, upgrades and track preps. Scooter... the shop mascot is awaiting your visit! I'll keep it short and get to the point. Dealer quoted me over $5,000 to repair my rough PDK. Lutzo fixed it for $385. He also called some contacts to discuss my problem before hand AND called me after I picked the car up to make sure it was running okay. He's also worked on my previous car a Porsche 928. He's honest and fixes things rather than just throws new parts at a problem. No one will work on my car but him. I took my 2001 P car to get the clutch and IMS bearing looked at at LMN Motorsports. Lutzo discovered that my clutch was good but the IMS bearing was nearing the end of its life (probably only had a few thousand miles before disintegrating). Thanks to Lutzo I was saved a lot of grief and the cost of a new engine! I would definitely recommend this shop and his services to anyone that needs a Porsche repaired on any level. If I lived out of state, I would take a week of vacation just to drive here to let Lutzo work on my vehicle. No one else is worth your time. He has a great crew and they care about your car as much as you do. Also found out where all the service records were!!! Was maintained here since new and is still being mainted here now. Previous owner picked up a new P-car and is still coming here. That is impressive. Now when I bought the car earlier this year the dealer had thrown on some junk to get it out the door and hoped no one would notice. And I didn't. Thanks to Lutzo and his crew, they replaced it and the car feels like it should now. It is my first Porsche so all I can say is I've learned so much. I won't be taking this car anywhere else and neither should you. Lutzo and team at LMN Motorsports are the best period.. I used to take my 911 to the Virginia Beach stealership...and wish I had known about LMN at that time. Now I only trust these guys to work on my Cayenne Turbo. Always friendly, honest, reliable, timely service. Lutzo is fair, honest and best of all the only person in Hampton Roads that knows how to work on a Porsche! Bottom line is he is the best and knows these cars inside and out! Lutzo is the best-period. He is always willing to take a look when I feel something isn't right with my car. None of the move you in, move you out like the dealerships. Professional, pleasant and excellent work always! I stopped by LMN for the first time today based upon a friends recommendation. Lutzo met me at the garage bay and I introduces myself. I asked if he only worked by appointment and he acknowledges he did but asked me what my problem was -- which I explained in few words. He asked me the model year and I told him. He said it's probably a fuel relay. When they fail their symptoms sound like that. He then said, before you leave let me swap out your relay and you drive it for a few days and see if the problem is solved. When I asked "how much" he said see if it fixes it first. Then you can pay me. The man knows the 944S as far as I'm concerned. My car needed a clutch and IMS bearing installed. My Porsche is my daily driver - my only car. Lutzo, knowing that I would struggle without a car, took my car immediately and had the job complete in 2.5 days. I have driven the car over one hundred miles since he completed the work and everything is functioning perfectly. The new clutch feels awesome. The thing that impressed me most about my experience dealing with Lutzo is that he called me shortly after I left the shop and checked up on me, making sure I thought the car felt good and that I was happy with the repair. Thanks for the customer service Lutzo!! 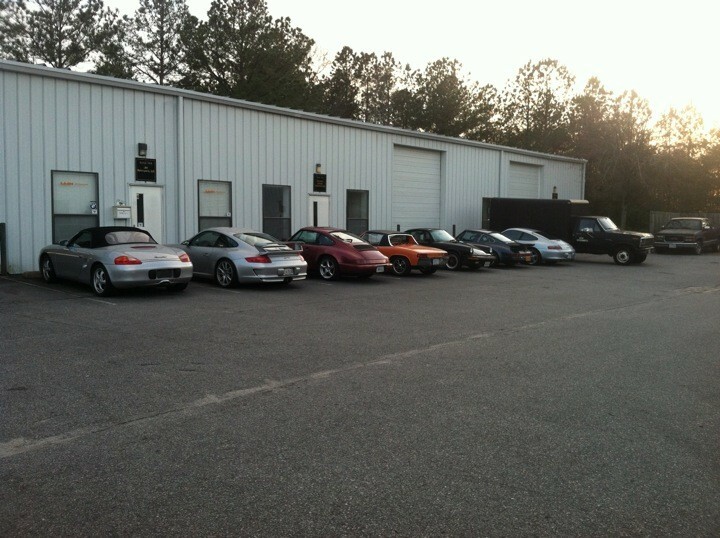 Would you travel 1014 miles from Florida to Virginia Beach for your Porsche service experience? For a Porschephile there is nothing like having your Porsche drive-train separated from that beautiful 911 body. I've done two comprehensive performance and suspension builds with Lutzo and LMN Motorsports over the last 8 years. Lutzo knows all, Ray is pragmatic and confident and BJ gets it done-no detail is too small, they are a team and make your Porsche yours. I’m on my third 911 build with LMN motorsports, engine and drive-train separated from the body again. It does not matter if you need routine service, track car setup or a complete engine rebuild. Where ever you are-this is where your Porsche should be. 5 out of 5 stars, period. I was interested in a '87 944S, had never owned one, and called Lutzo to pick his brain about the pending purchase (after reading the reviews on this site...had never met him). He and his team were extremely friendly and helpful, and they answered all of my questions. I ended up buying the car, taking it straight to them, and getting some preventative maintenance done right away at a very reasonable cost. LMN alone will have my Porsche auto maintenance business while I live in Va Bch. Lutzo's LMN Motorsports is the type of facility car guys dream about: unsurpassed skills, reasonable rates, and no overselling. I recently had to replace the suspension in my car, which had worn out after 111 thousand miles. We researched replacement parts together and learned that instead of just replacing the struts, that I could replace all struts; the sway bars and bushings with the "rest of the world" Boxster suspension for just a few dollars more. It's this type of concern for and engagement with the customer that sets Lutzo apart from others. The new suspension is such an improvement, I have to work on new lines in the turns at VIR. Many thanks Lutzo. I also look forward to more discussions about wines. I found LMN after being referred by several other placed that wouldn't work on my 1979 911. Honest and reasonable. I will return. Thank you. What differentiates Lutzo at LMN motorsports from others is his character and integrity....you just know when you meet him that he is honest, fair and passionate about his work. His skill and attention to detail are simply icing on the cake. Bottom line- great service at a fair price= I am never going anywhere else with my Porsche! We recently moved to Va Beach and Lutzo was highly recommended. He now takes care of both our 993 and Boxster S. We have been impressed with both his knowledge and his honest straight-forward approach. We were lucky to find Lutzo and are very happy to pass along our recommendation! Lutzo is a class act and they only person we ever sub any Porsche work out to. 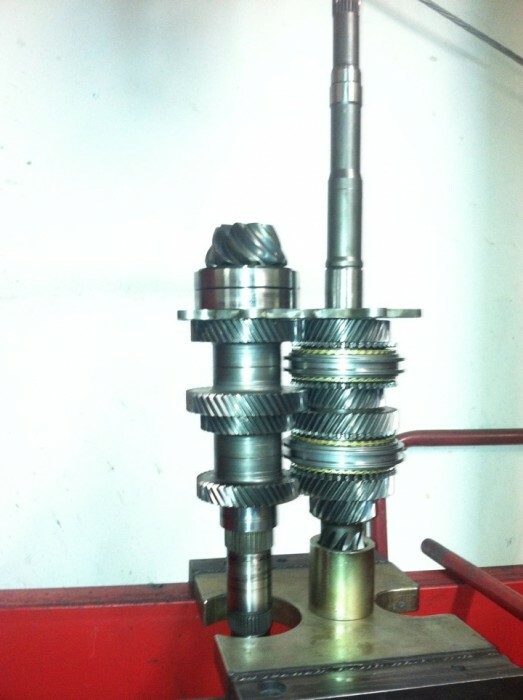 If you have a 996 with a crunchy gearbox, or wailing diff. Call Gbox out in CO for a quote, and then call Lutzo. :) His work is only surpassed by his ethics. Lutzo recently performed a 20k mile service on my 2007 911s. I was impressed; great service at a reasonable prices. I live in Yorktown and it was definitely worth the trip. Only Lutzo works on my 968. Never over sells, never over charges, and always treats my car like its the only one in the shop. First rate repair with decades of Porsche experience. I have recently moved into the area and was looking for somewhere to have my '99 Carrera serviced. The shop that I was recommended had closed down so I started looking on the internet and came up with LMN Motorsports. I called Lutzo to see if I could drop by for a chat about my requirements; he was completely flexible about me just dropping in, a very nice change. During that initial meeting Lutzo was brilliant, he did not try to sell me anything but he did connect the Porsche computer so that when I did need a service we were starting from a clean slate. I mentioned the car was 'squeaking' so we set up an appointment for him to try and find it. To cut a long story short, LMN worked on the car for 6 hours trying to locate the squeak eventually finding that it was slightly loose spark plugs allowing air past the rubber seal. The dedication of Lutzo and his team is second to none, he cares about the cars and also the owners. He is extremely conscientious when it comes to the work and fair when it comes to the bill. LMN Motorsports now have a dedicated customer. I found other comments on this site very useful and encouraging, now having experienced LMN Motorsports for myself I felt I had to add my own review; anyone with a Porsche should take it to Lutzo, they will not be disappointed. Lutzo has the skills for street and track set ups. What sets him apart is his concern for the driver's safety and comfort. My 2001 Carrera is a track car only used for DE and PCA Club Racing Stock H. The car handles extremely well because of Lutzo's knowledge of the track, and this has helped me become a better driver. He is also a great resource for decisions on car modifications. He never suggests spending money on a mod unless it will add benefit to a car set up. He also knows the Cayenne, Boxster, Cayman as well as the older air cooled Porsches. I recently had work done on my 2003 996 Turbo. The water pump went out. I have to admit that I was a little apprehensive taking the car to an unknown (to me) repair shop. I must say that the work performed by LMN Motorsports was second to none. I had a great Porsche mechanic in Orlando who I completely trusted the car with before moving to Virginia Beach. It's very reassuring to have found an expert Porsche shop here in Virginia Beach. Lutzo really knows his Porsche's, hands down. You can bet that any future work required on my turbo or my wife's Boxster S will be done by LMN Motorsports. Thanks again Lutzo for the great experience! I will not let anyone else work on my Porsche. Fantastic service the first time every time! My 2005 911 received a major scheduled service there. I'm very satisfied at less than 1/3 the cost from Checkered Flag. I have a 1991 928 GT and take it to this shop for maintenance and the service is top notch!